EDITOR’S NOTE: See update at the bottom of the post. Time after time, Palm Bay City Councilman Calvin “Tres” Holton has said that it is wrong for people to attack his family when it comes to political issues. We agree with that statement. We cannot find a single instance where anyone other than Holton himself has mentioned or brought his family, his wife or his children into any discussion of political issues, but the sentiment is correct. How can that be? How can the man who always claims that family is off limits on political issues bring his own mother into a political activity? Even more importantly, was that activity legal? Palm Bay Police are investigating accusations that the mother of deputy mayor Tres Holton recorded opponents of a City Council fee hike without their knowledge, a potential felony, and forged a signature on a petition form, a potential misdemeanor. The alleged incidents took place at a First Friday community event on June 1, when petitioners seeking to change how the city assesses fees were gathering signatures to put the issue on the November 2018 ballot. The petition organizers filed a complaint with the Palm Bay Police Department on Sunday against Anne Deree Stobaugh of West Columbia, South Carolina, as well as her son Holton. They say she recorded them without permission and illegally signed a petition she knew she was ineligible to sign. Three of the organizers say they recognized Stobaugh from a photograph and her voice on the recording which they say was illegally made and later made public by Holton. There are a lot of legal issues with this incident and we are going to try and address some of them. ISSUE NUMBER ONE: Was the recording itself illegal?? The recording was made at an public event. There were hundreds of people mulling around. The music was so loud at this event that the signature gatherer and the potential signer were literally shouting to be heard. The signature gatherers had signs advertising they were there and what they were there for. They wanted people to come and talk to them. Bottom line is that out in public, at a public event, where no one has asserted a privacy claim, and the subject is of public interest all adds up to “no expectation of privacy.” The recording itself is legal. ISSUE NUMBER TWO: Did the potential petition signer do anything wrong or illegal? The potential signer has been identified as Councilman Holton’s mother, Anne Deree Stobaugh of West Columbia, South Carolina. Stobaugh is heard on the recording as saying she just moved here from South Carolina and was a resident of Palm Bay and eligible to vote. Those statements are not truthful. 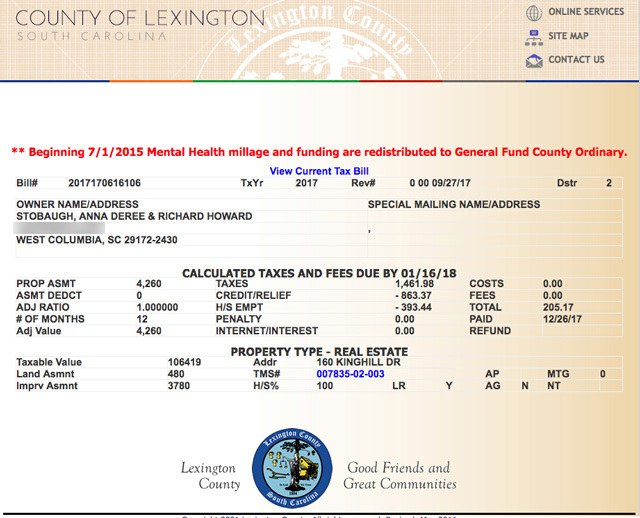 Stobaugh’s residence, as shown by this tax bill, is in South Carolina. A look at the voting records for Brevard County show she is not a registered voter in the County. 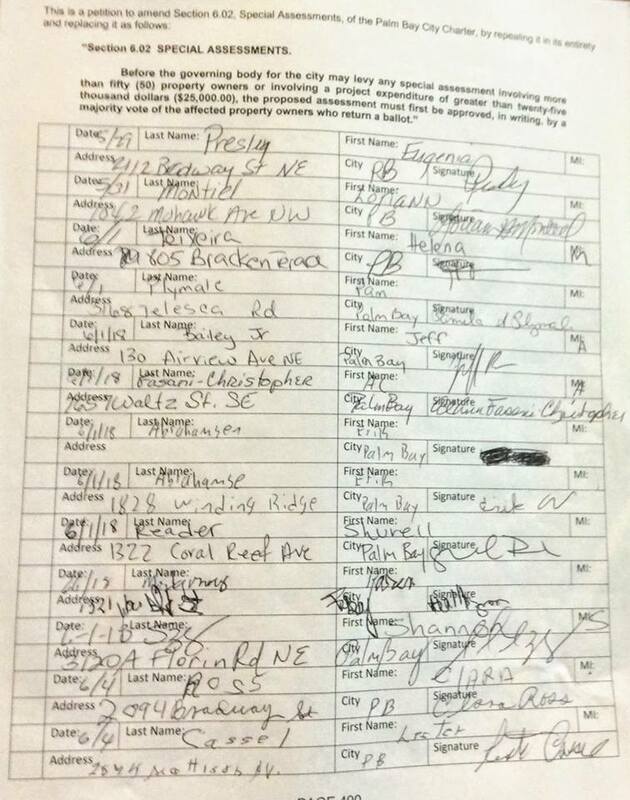 The petition gatherers have provided this page of petition signatures which has the place where Strobaugh signed the petition after given a false name and address. It should be noted that the page shows the same language that was read to Stobaugh in the recording. According to Holton, “who” doesn’t matter. Holton blames the organizers for misleading voters and maintains that’s the real issue but has so far failed to explain his accusations. “The petitioners lied and used scare tactics in persuading people to sign a petition. 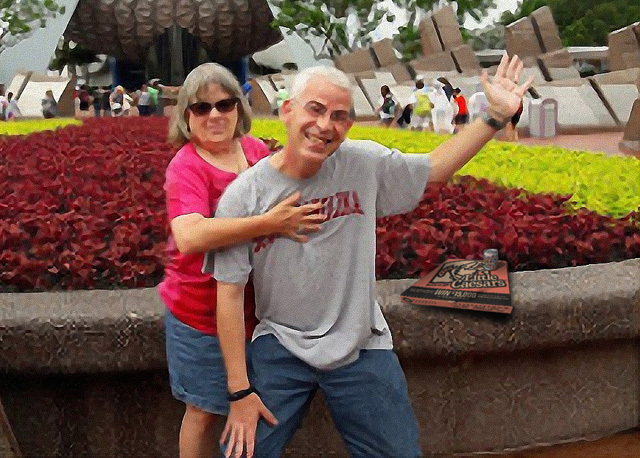 Now that they are caught, they want to shoot the messenger,” Holton said in an email to FLORIDA TODAY. As in most cases where Holton opines about legal issues, he is wrong. “Who” does matter. ISSUE THREE: Is Councilman Holton implicated in the actions of his mother? 8) then gave the recording of the conversation to her son. ISSUE NUMBER FOUR: Are there legal concerns in regards to the initial non-release of the recording by the City / Councilman Holton? In the sequence of events that have transpired with this recording, the conspiracy is not the last time Holton appears to have broken the law. Holton did not say there were no public records that would fall under the Sunshine Law, but rather there were no records (public or otherwise) at all. The fact that Holton lied about the existence of the recording is a violation of the Sunshine law. There are many exemptions to disclosing records to the public. Lying about the actual existence of the record is not one of them. By denying the existence of the record, Holton violated the Sunshine Law. The fact that Holton knew there was a recording and failed to disclose the existence of said recording makes his lying about the existence a willful act. He knowingly violated the Sunshine Law. It took the persistence of several citizens to get the recording released. That never should have happened. Citizens have the right to public information and Holton wanted to deny them that right. Thankfully, City Attorney Smith saw through the subterfuge and had Holton produce the record. In another forum, we asked Councilman Brian Anderson whether he was thinking about the fact that Holton, at the very least, had violated the public trust in lying about the existence of the recording. 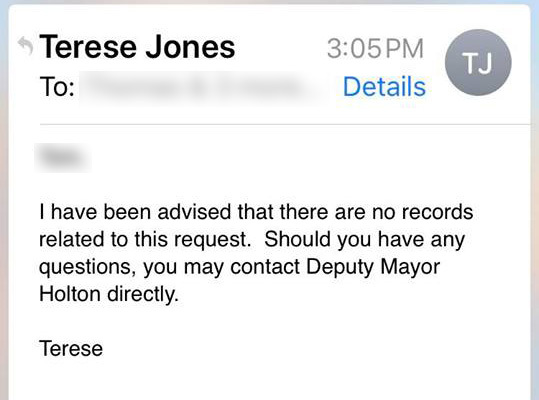 Anderson never answered us directly, but to other similar questions he repeatedly said that the record was available and that is what matters. We believe that is hogwash. 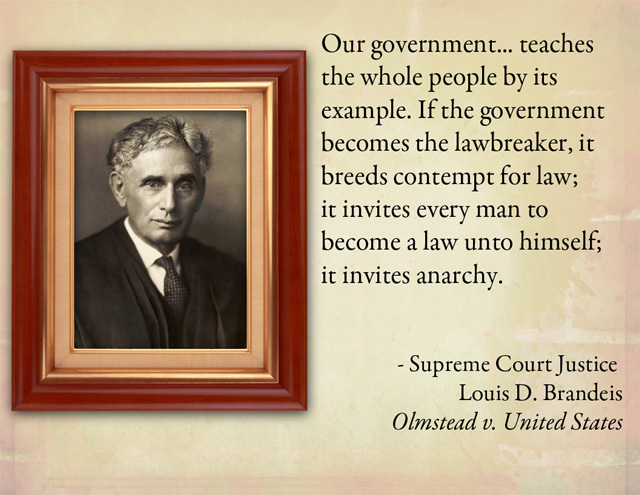 We believe that it is important that the public trusts public officials. This is not an argument or discussion over numbers and interpretations of facts. This part of this issue is whether sitting City Councilmen are good with the idea that one of their own broke the law multiple times and lied – flat out lied to the citizens of the City. Apparently some young people have a better idea of morals and ethics than our elected officials. We think the issue of the recording, the lying of Holton’s mother on the petition form, Holton’s part in the conspiracy, and Holton’s violation of the Sunshine law will be discussed as well they should be. Mayor Capote will not be present at this meeting, which means as the Deputy Mayor, Councilman Holton will be the chair for the meeting. That position holds a lot of power and authority and we fully expect Holton to use the gavel to shut down any dissenting voices that may raise the issues that we have raised here. The question will then be, “how committed are the other three Councilmen – Santiago, Anderson and Bailey – committed to the truth? How committed are they to members of the Council following the laws of the land? How committed are they to the public and rebuilding public trust? Palm Bay Police said Tuesday night they are no longer investigating accusations that the mother of deputy mayor Tres Holton recorded opponents of a City Council fee hike without their knowledge and a forged a signature on a petition form. “As of Tuesday, July 31st the investigation has been closed by the Palm Bay Police Department,” the police department said in an e-mailed statement. A police department spokeswoman provided no details on why the case was closed. One of the individuals who filed the complaint with the police, Thomas Gaume, Holton’s opponent in the upcoming election, said Tuesday he would ask the Brevard County Sheriff’s Department to look into the matter. It’s a shame that time and time again elected officials get away evading justice by exercising the power of their position. That the Deputy Mayor has, and most likely will again target the very Citizen’s he has sworn to serve is disgraceful. The Palm Bay Police Department conducted their investigation, but they are not the ultimate decision maker in this process, this will end up in front of a judge one way or another. As an outsider looking in, one troubling aspect of this entire issue is that the only way it was brought into the sunshine was through outside elements of the public and media (including you guys at raisedonhoecakes.com) – a great job at getting the facts out to the rest of us. It seems really sad that our elected officials, boards, and city employees don’t do a better job of stepping up and calling this stuff out immediately, while keeping their constituents informed. When it takes this level of effort from outside elements it kinda makes you wonder what else is going on behind the scenes. I am very proud of Thomas Gaume’s efforts, and his tenacity to see this through. I remain in the shadows as to not be accused of bias. For me, this is all about what is right, against the wrong. This culmination of investigations, work, emails, phone calls, and ingenuity by a few of us is, for one thing, to end the corruption of Palm Bay, and to have honest representatives elected to serve the citizens, not the council and staff of PB. I can understand how hard it must be for the staff of ROH, to do the right thing, with no recognition for all the work. But from me to you, ROH, thank you. More people of PB should know they can sleep better because someone is on the wall watching out for you. As one of those watchdogs, I feel proud to know we are waking citizens up to the truth, and the Sunshine. All I can ask if you can vote the correct way, and help us end this in the next two election cycles. If you would like to run for office, and you have integrity in your soul, and you want to make a difference, reach out to your party leadership, or someone you can trust. We can obviously trust, Raised on Hoecakes! You are making us blush. Thank you for your kind words. If you’d like, please tell your friends (and even your enemies) about the site. No one is making money off of it (no advertising) so we are interested in the sharing of ideas.